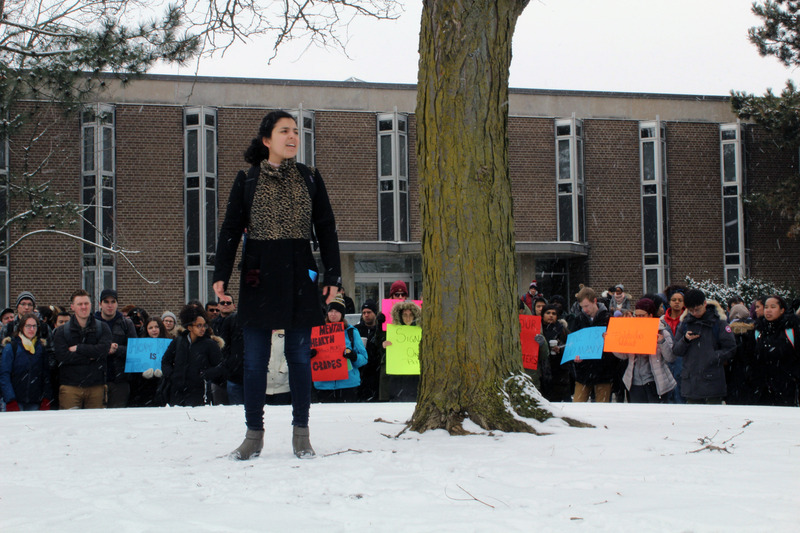 Despite the snow and cold temperatures on the morning of Thursday Mar. 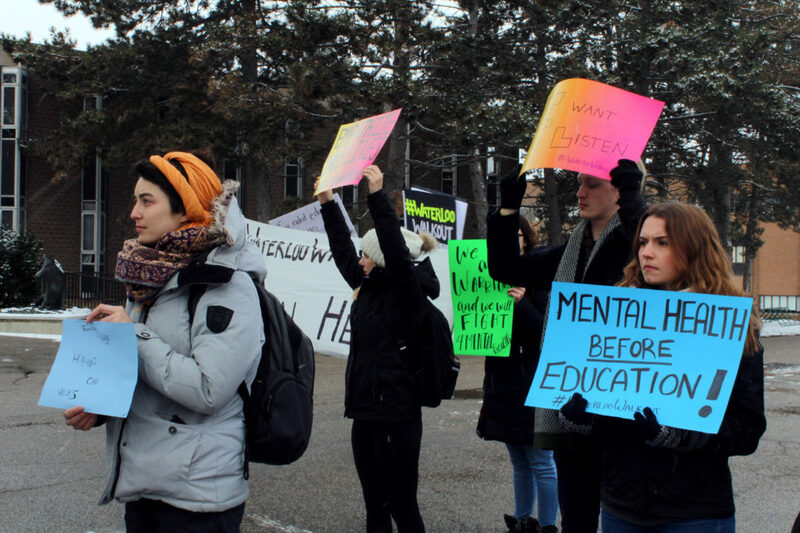 8, a crowd of about 200, consisting of students, faculty, and other members of the University of Waterloo community gathered in the Arts Quad to rally for action towards remedying the dire mental health situation on campus. 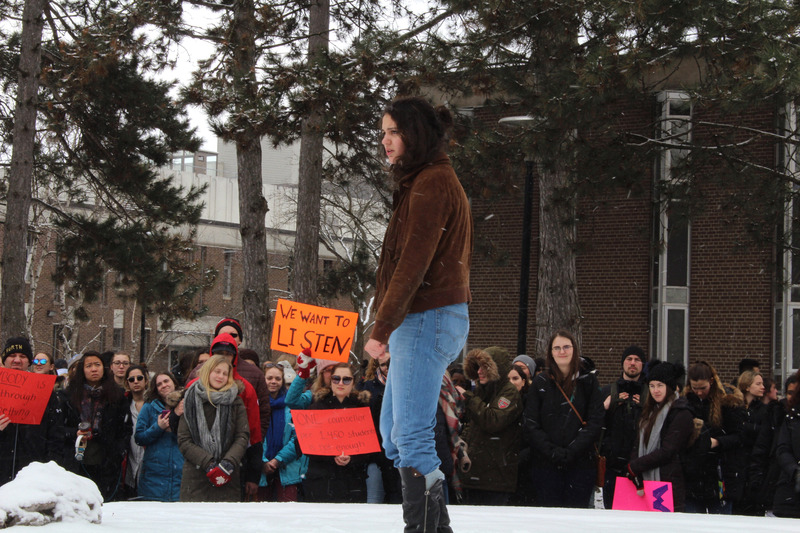 Throughout the two-hour walkout, individuals cried out, “I want to talk,” and the crowd answered back, “we want to listen” in a call-and-response, making the purpose of the rally clear for everyone present. 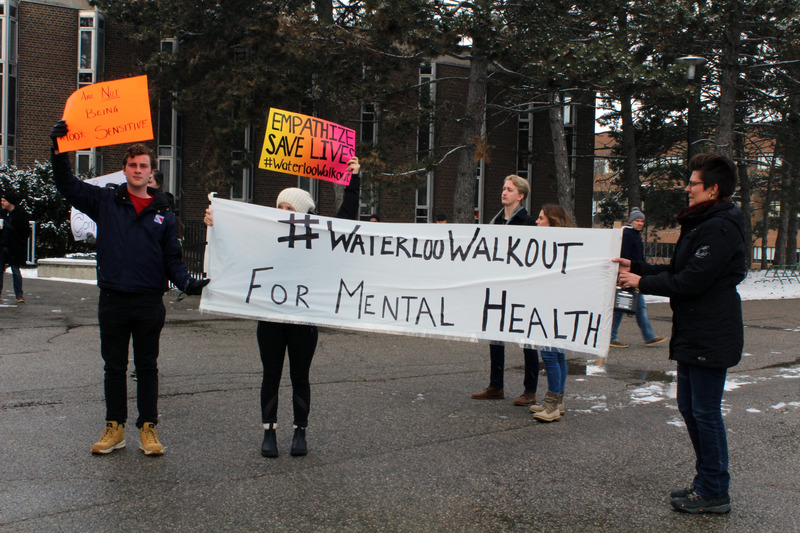 “Addressing mental health issues on campus goes beyond the improvement of counselling services because students are facing a range of pressures in our community,” said Kai Butterfield, a student and one of the organizers of Waterloo Walkout for Mental Health. 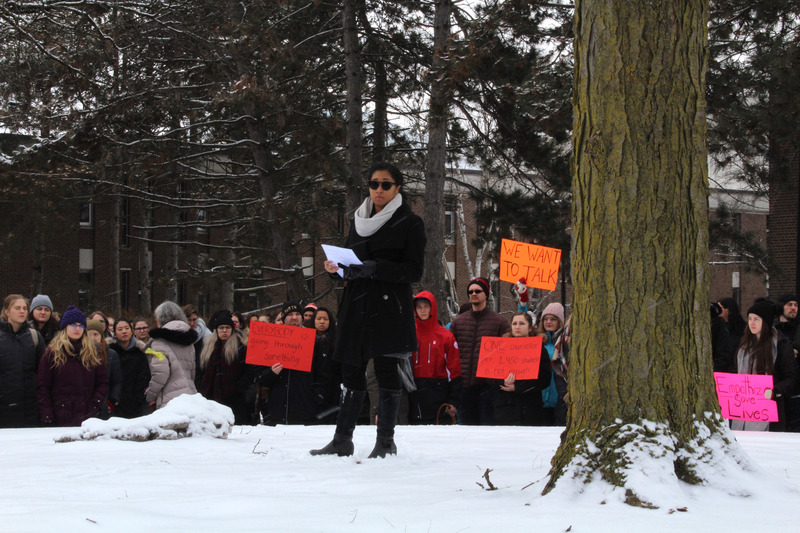 The event came to fruition as a response to the suicide of a fourth-year student that occurred on Monday, Mar. 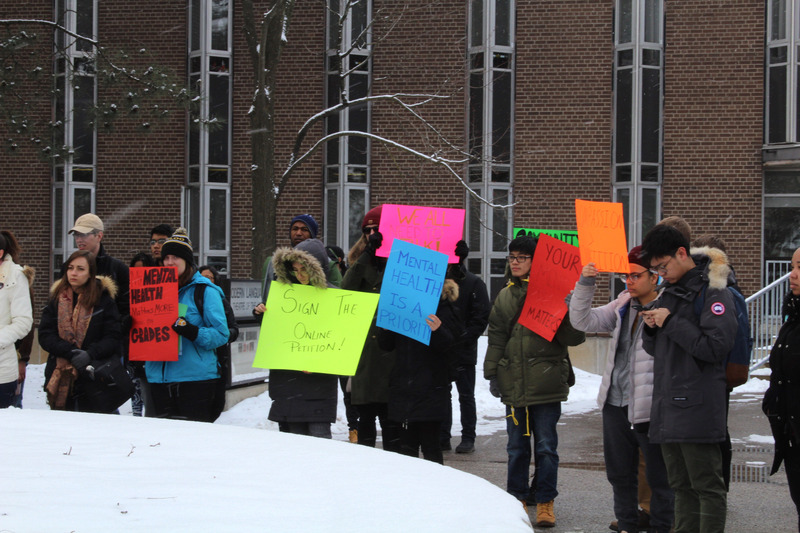 5 in the Claudette Millar Hall residence. 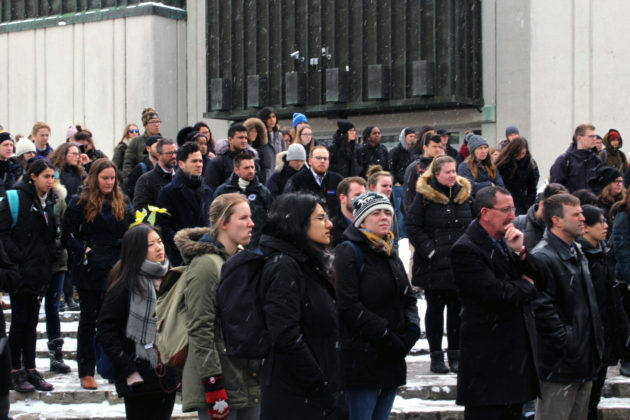 “If this young man took his life at a residence in the heart of our community, what does that tell us about our community. The reality is that this young man is not here to respond, but that does not justify silence because all of us know the reality of this campus,” said Butterfield. 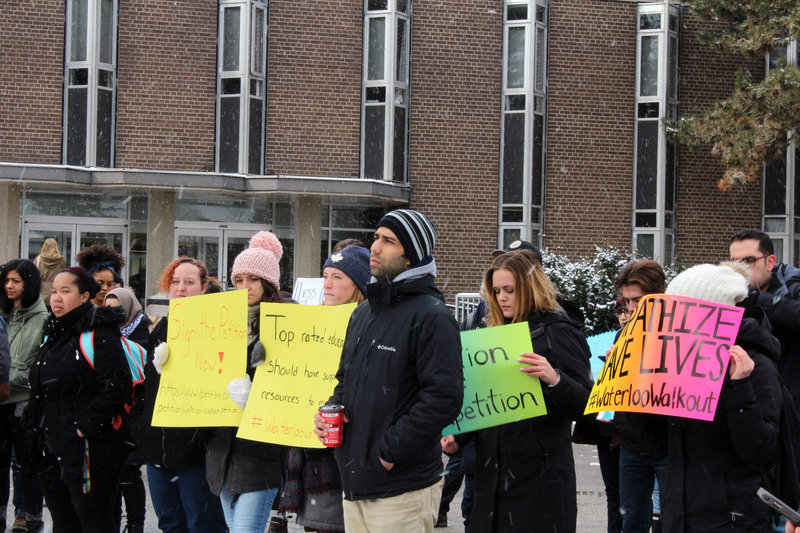 Many individuals stepped up to speak about their experiences, not only with counselling services, but to address a more extensive problem present within the community. 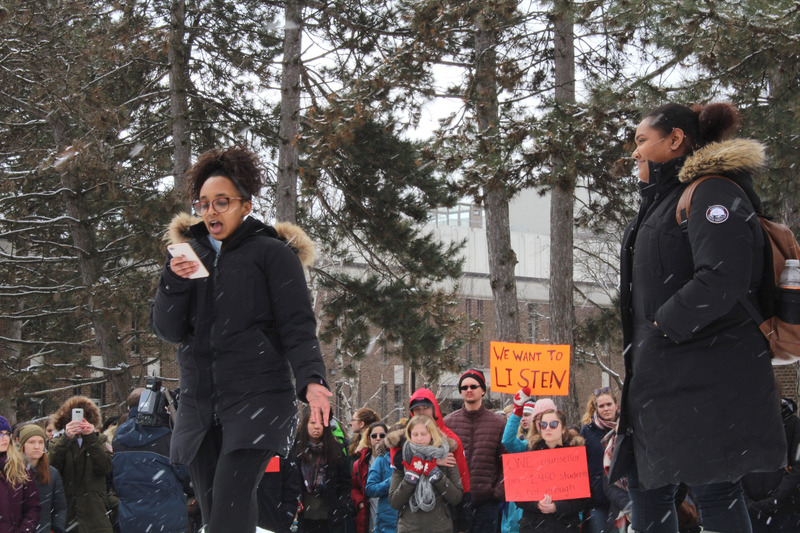 Speakers expressed hope that the walkout would prompt the university to work more effectively in providing accessible counselling services and address the harmful narratives and practices on campus, but there is also recognition that all members of the community, from administration, to faculty, to students, who must work in tandem to enact change. By staging the walkout, students, faculty, and members of the UWaterloo community remove their consent to insufficient mental health services and a harmful brand.